It is time for another edition of HoloNet Links. First off, we welcome the Preferred status players to Galactic Strongholds! We are already halfway through the month of September. Bruce MacLean had told us we would get some info about Update 3.0, and this past Tuesday we got a little “tease.” During a live stream on SWTOR’s Twitch channel, we got our first look at a teaser trailer titled, “A Deadly Force Returns.” This of course builds on the cutscenes found in part three of the Forged Alliance story arc we received in Update 2.10. Here is a look at the new video teaser for Update 3.0. 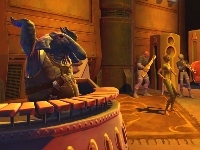 As we saw in the video above and the cutscenes from the new Tactical Flashpoint on Rakata Prime, Revan appears to have returned. What does this mean for the galaxy? 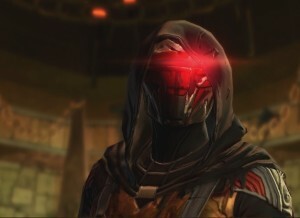 Is this Revan who defied the Jedi council to meet the Mandalorians in battle, or is this the Revan who was turned to the dark side by the Emperor? There have been many questions raised, with no real definitive answers, as of yet. That doesn’t mean we cannot speculate on our own. I know many ask why bring Revan back into the story. I can understand why some want a new character to be added to the story. However, having played the Knights of the Old Republic games, I feel Revan deserves a better send off than part of a couple Flashpoints. No matter your opinion on Revan, the character is probably in the top five or top ten at the very least as far as loved characters in Star Wars lore. I personally would rank him in the top three, Yoda, Darth Vader and Revan. Now this is all assuming the person is actually Revan and not someone impersonating the powerful Force wielder. Hmm, maybe it is someone pretending to be this leader and using the Revanites as their army. Could it be Darth Malgus or possibly the Emperor? Perhaps we will find out more as we near the end of September and dev post by Bruce MacLean. BioWare and the Community Cantina will be coming to New York City. The event will happen on October 9th, 2014, the first night of the New York Comic-Con. If you will be in the New York City area for the Comic-Con or live around the area this is a great opportunity to meet fellow gamers, talk to members of the Community & Developer teams. Be sure to remember to get there early for your free M8-3R Astromech pet codes. The Community Cantina events are a great time…food, drinks, Q&A session, a look at new images and most importantly fun with those playing and creating SWTOR. For more information on where the event is taking place read the official post from the SWTOR website and location, date and time below. I don’t think it’s dropping at all. 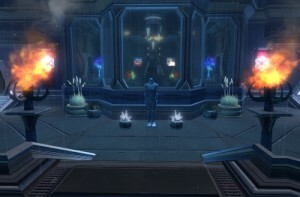 If it wasn’t included in the packs, they should do what they did with the Republic Voss Embassy Sign and put them on a vendor for 1 credit each. Thank you folks for bringing this to our attention. As you have guessed it is unfortunately not in this pack as indicated in the Decorations UI. As Screaming Ziva guessed, due to this error we will be placing the Slot Machine: Smuggler’s Gambit on the Binary Star Realty reputation vendor for 1 credit at some point in the future. I do not have exact timing on when this will happen but as soon as I know specifics I will let you know. Just like the Republic Voss Embassy Sign, this item will only be available through the vendor for a limited time. I will post timing as soon as I have it. Thanks everyone. Great job by everyone that brought this to BioWare’s attention, concerning there not being any slot machines included in the packs. I also have to say great response by BioWare addressing this situation by placing it on a vendor for 1 credit! The item is only available for a limited time, so make sure to grab this item from the Binary Star Reality rep vendor located on the Cartel Bazaars on either fleet. Here is the status on Preferred Access to Strongholds. We are actively granting players access to Strongholds as we speak. This process will be continuing every minute over approximately the next 4 hours from right now (12PM CDT). If you haven’t been granted access, just try again a little while later. As a note, if you are online and you are granted access, you will need to log out of your game and then back in. Thank you all for your patience. As I mention in my intro, welcome all of the Preferred status players to Galactic Strongholds. This will mean several more people looking for decorations from crafters, loot, and vendors. This should mean a boost to server economies and also more people wanting to run those various missions that have the potential for decoration drops. This week I found another fan created video. The following video was posted by Axurion Exeiro. He has created and shared many videos. The video is based on the fan created character Poncho Zombie. It shows Poncho Zombie in a type of documentary show, like those found on the History or Discovery channels. While the video itself might be short in length, it is packed full of fun entertainment. The only real drawback to this video, I want to see more adventures of Poncho Zombie. Enjoy this video and let us know what you think in the comment section below. If you have a particular link, story, video, or topic related to SWTOR we would love to hear about it! You can send those to us here at Corellian Run Radio and we can place it in a future article. Just email us the links and/or the details for the event at corellianrun@gmail.com, or you can also leave any link suggestions in the comments below, or in Corellian Run Radio’s Facebook group. See you in two weeks, while I recover from surgery!